This season, flames rise in fashion and create some sizzling heat for cold weather! Red is the new black and the main importance is solely the color red. The Red is a great way to stand out from the crowd. 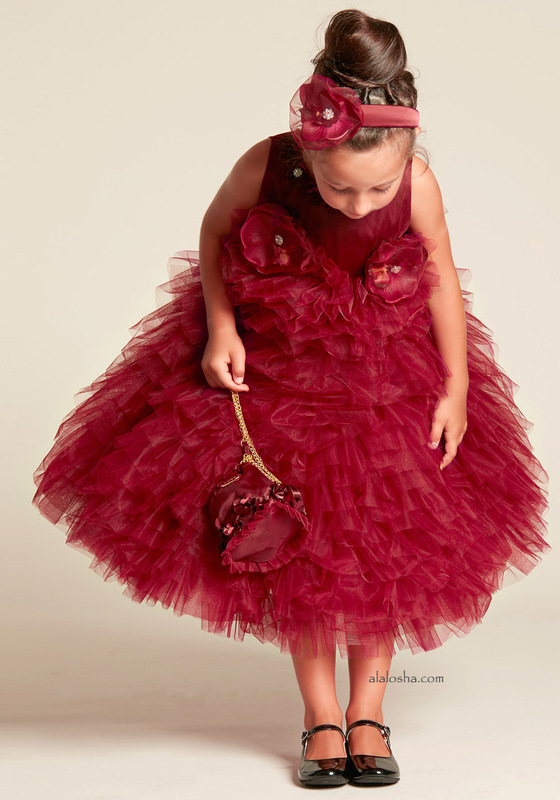 Rich, burgundy dress, hairband and bag three piece set for special occasions, exclusive to Childrensalon. The satin bodice has a tulle overlay and is embellished with large, floral appliqués with diamanté centres, which are secured with poppers. The elaborate, full skirt has many tiers of tulle for fullness and there is a concealed zip fastener at the back. Fully lined in burgundy satin, it comes with a matching Junona hairband and bag, with a gold chain handle and ribbon drawstring. 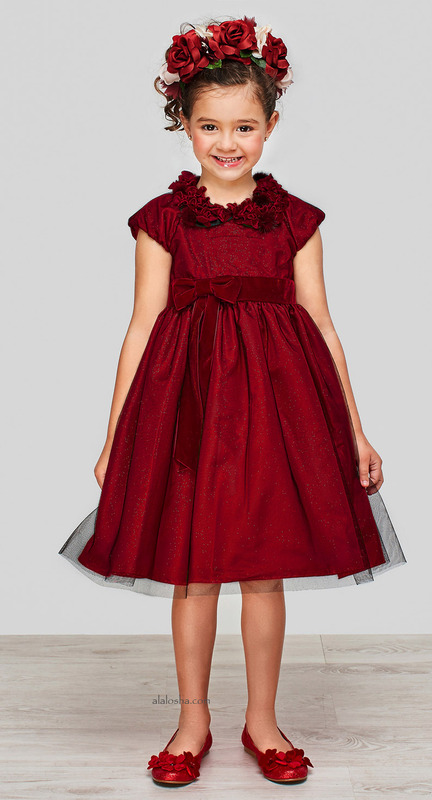 Girls beautiful burgundy red dress by Graci. Made with layers of tulle over a satin skirt and bodice, the overlay is a fine layer of black tulle with red glitter. The bodice is fitted with capped sleeves and there is a red velvet bow sash at the waist. The removable collar is made of velvet rose appliqué with fur pom-poms. The dress does up at the back with a zip and has a cotton blend underskirt with tulle petticoat for fullness. 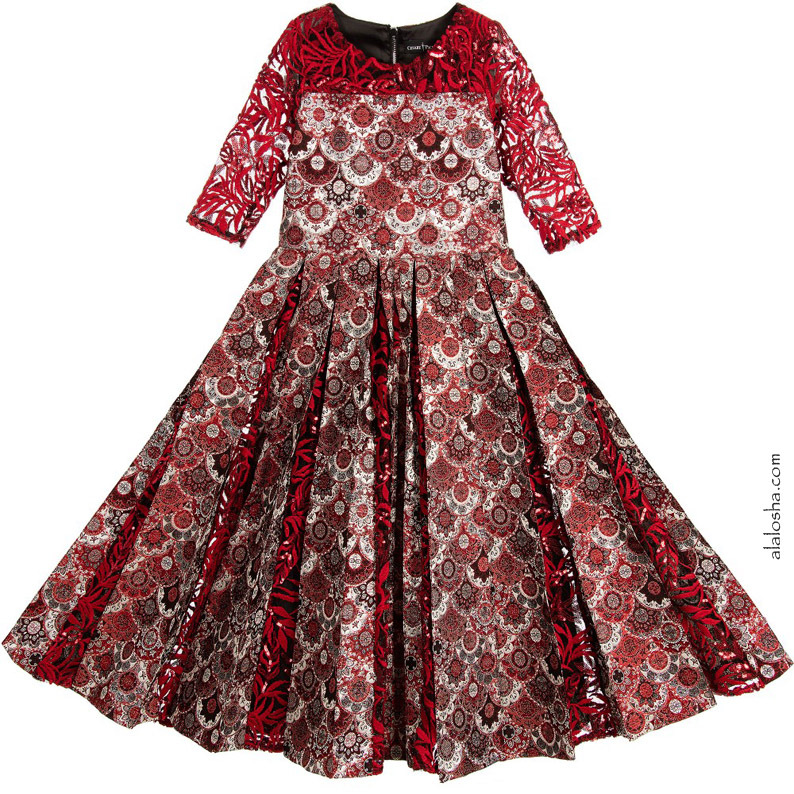 Fabulous red taffeta dress, featuring ornate, gold, swirling, synthetic leather appliqués. It has a dropped waist with a gold, box pleated, synthetic leather skirt, which has a red grosgrain ribbon running around it. 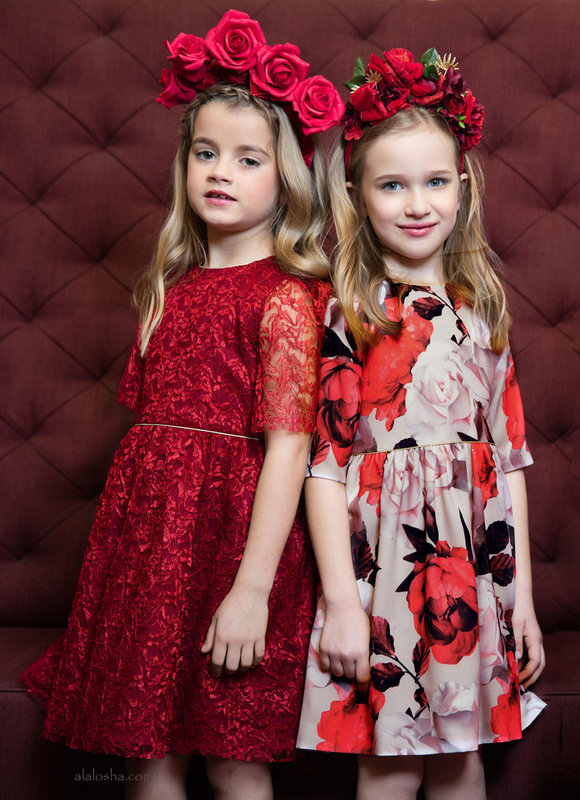 With ¾ length sleeves and an exposed gold zip fastener at the back with a logo pull tab, every little girl will love in this dramatic Cesare Paciotti dress. 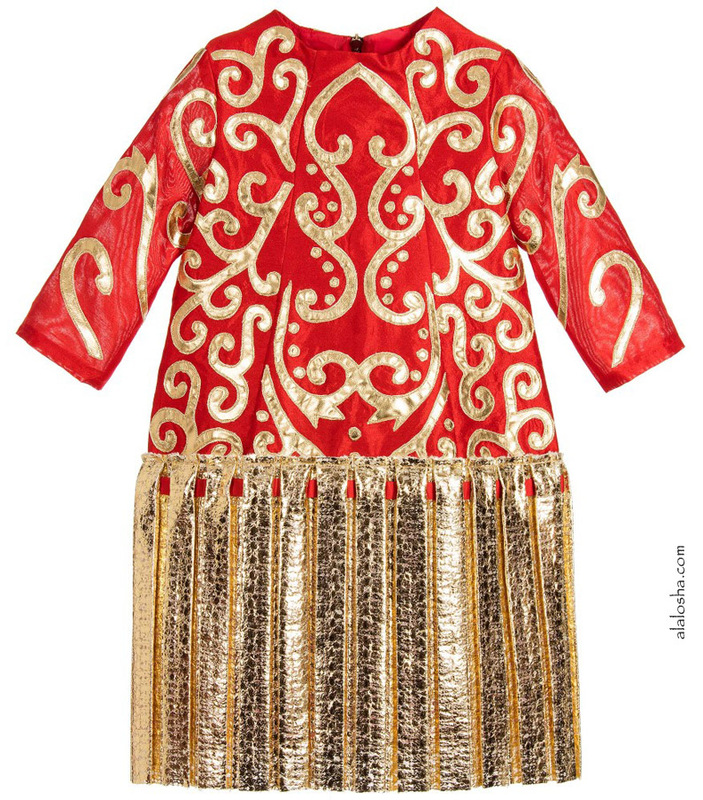 Amazing red and silver, full length dress, made in an exquisite brocade. The tulle yoke and ¾ length sleeves are embellished with red sequins and embroidery, with the fabulously full skirt having box pleats all around, which open to reveal matching tulle inserts. With an exposed silver zip fastener at the back with a logo pull tab and a silky black lining for comfort, every little girl will make a grand entrance in this beautiful Cesare Paciotti gown.